Looking for skip hire in Leytonstone? If you’re in Leytonstone and looking for an excellent skip hire service, you have come to the right place! 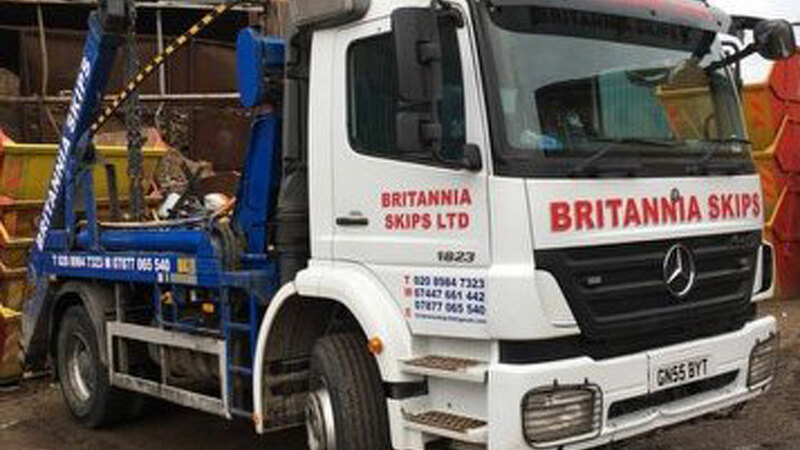 Here at Britannia Skips we specialise in providing skips to our customers quickly and affordably, no matter whether you need a small skip for a residential project outside your house or a large waste management solution for your commercial project. We aim to be your one-stop shop for skip hire, offering a wide range of different skip sizes from mini and midi skips to large skips and maxi skips. We also offer the option of enclosed bins. All our skips come with the offer of same day delivery, and we’re happy to come pick your skip up once you no longer have need of it. We understand that waste management can be a tricky business so it’s important to have the right advice. For that reason we help our customers obtain the appropriate licences and permits for their skip to ensure that you don’t get into trouble. What’s more, our services are available to customers across the whole of East London. So why not contact us today? Just tell us what kind of skip you’re after and we can give you a free quote. We can even make sure that your skip is delivered by the time the evening arrives. You can give us a call and speak with one of our staff right now or send us a message. Either way we’d be delighted to be at your service.